I.T, i.t, ete! and double-park are the flagship multi-brand stores, each appealing to contrasting individuals and tastes while retaining the passion that our company is renowned for. I.T shops are the home of sophisticated labels at the forefront of fashion, while i.t is the place for younger shoppers to find the best in fun, edgy casual wear. Fine footwear and accessories feature in the refined spaces of the ete! stores. At double-park, the latest in street wear and the lifestyle that encompasses it are explored in an experimental shopping environment. New and unknown brands alike are nurtured by I.T and are given the opportunity to test the water in new markets. If they pass muster with our discerning shoppers, they have the opportunity to springboard into free-standing stores and even greater exposure. I.T traces its beginnings back to the seeds of a simple idea: to cater the young individuals with a distinct sense of style. It all began in 1988 with a small, 200 square-foot shop featuring brands that were not readily available elsewhere in Hong Kong. The shop quickly established itself as a mecca for those with an eye for fresh, fun fashion. The devoted following that grew from this has pushed the I.T Group on to increasing success and ensured that its name has become synonymous with young fashion at the cutting edge. The individuals behind the I.T story remain true to the company's roots, driven by a simple passion to bring names both recognised and experimental to successive generations of customers. Like those who shop at I.T, the team behind the company is energetic, open-minded and appreciates how fashion can form part of a modern lifestyle. Their dynamism and focus have propelled I.T into a major brand, in Hong Kong and in new markets beyond. 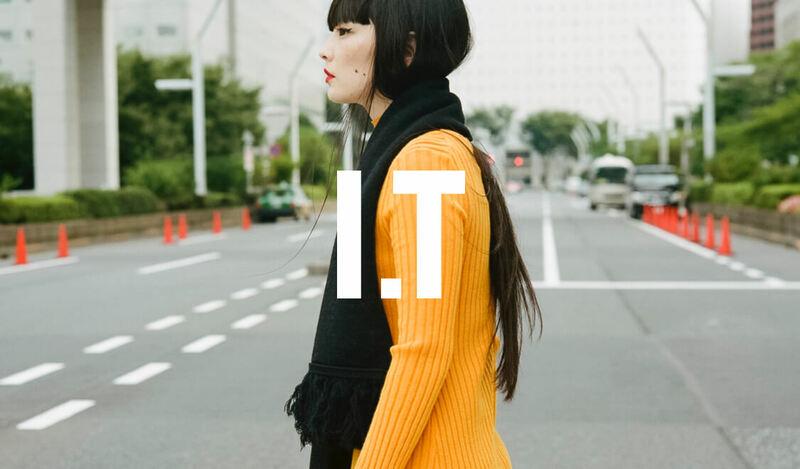 With a new generation of young people looking to make a statement about their style and individuality, the idea behind I.T is more appealing than ever in burgeoning markets such as Mainland China and Taiwan. I.T was listed on the Main Board of The Stock Exchange of Hong Kong Limited on March 4 2005. I.T remains true to its history of innovation: to championing new designers and widening the audience in new markets for names fresh and familiar from across the world. "Quality", "Focus" and "Foresight" have been the words by which I.T lives. In our desire to bring the brightest and coolest items to our stores, teams dedicated to particular niche segments use their skills and knowledge to spot the trends ahead of the curve and provide brands with a platform from which to build throughout the I.T network. Aiding us in our endeavour is the relationship we have with our customers. To enhance this we encourage them to give us their views and engage in a dialogue with us at our website, www.ithk.com. It also serves as a channel for us to highlight new arrivals and promotions. Equally important is the relationship we build with the designers and brands we support. We want them to share the same ideals so that we can grow together out of a basis of mutual respect.